Chicago (August 20, 2015) — MSDSonline, the leading provider of cloud-based environmental, health and safety (EHS) solutions, will host a presentation reviewing this year’s OSHA Globally Harmonized System (GHS) deadlines at the 31st Annual National Voluntary Protection Program Participants’ Association (VPPPA) Conference in Grapevine, Texas next week. MSDSonline President and CEO Glenn Trout and VP of Sales Chuck Haling, two of the industry’s top GHS experts, will share important compliance information with the nation’s top workplace safety and health leaders and decision makers. The presentation, titled GHS: 2 Deadlines Hit in 2015. Are you Ready?, will discuss the two major GHS deadlines that take effect this year, and the impact of these compliance requirements for the millions of hazardous chemical end-users (employers), manufacturers and distributors covered by OSHA’s Hazard Communication Standard (HazCom). It takes place on Tuesday, August 25 from 1-2 p.m. CDT in room Texas 3. The VPPPA is a member-based association made up of worksites under the Voluntary Protection Programs (VPP), an OSHA cooperative that encourages employers to implement comprehensive safety and health management systems. Created in 1982, the VPP accepts members with effective EHS programs and low injury and illness rates relative to their respective industry. Earlier this year, a bipartisan bill was introduced to the House of Representatives aimed at making VPP a permanent fixture and supported its expansion to small businesses. In June, Virginia was the first state to codify VPP as part of the state’s workplace safety program. The VPP currently has more than 2,200 participating worksites covering nearly 1 million workers. “We are honored to speak among members of such a prestigious organization, and hope to continue to work with them to promote safer, more compliant workplaces under the GHS,” added Haling. In 2012, OSHA modified the HazCom Standard to align with the GHS, a model approach to the classification and labelling of hazardous chemicals developed by the United Nations. The most recent GHS deadline was June 1, 2015, the date by which chemical manufacturers, and many distributors and importers, were expected to reclassify chemicals and update all safety data sheets and labels to the new GHS format. With two more deadlines approaching, including the final one for employers on June 1, 2016, the time is now for facility managers and safety professionals to take the steps necessary to strengthen HazCom compliance and integrate the GHS related changes. Occupational health and safety professionals interested in learning more about OSHA’s adoption of the GHS can view on-demand recordings of MSDSonline’s popular webinars at www.MSDSonline.com/resources/webinars. For ongoing updates on the GHS, visit the official company blog at www.MSDSonline.com/blog . 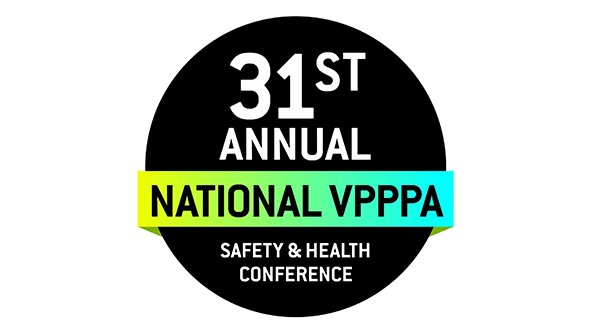 The 31st Annual National VPPPA Conference takes place August 24-27, 2015 at the Gaylord Texan & Convention Center in Grapevine, Texas. For more information visit http://www.vpppa.org/conference.